This Janod Magnetibook 4 Seasons has 4 interchangeable scenes depicting the seasons that attach to the magnetic flip up lid. 48 magnetic body parts and clothing can be placed on the scenes either portraying the images from the 4 cards included or make up your own! Observation and imagination are the only things required for this toy. Close the lid and they look great on the bookshelf or take them off on your travels. 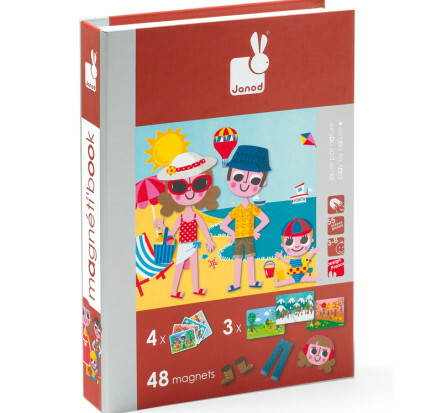 Janod Magnetibook 4 Seasons makes a great gift!